Over the past few weeks I have written a great deal about managing injuries. As a competitive endurance athlete who has had my fair share of setbacks, I know how challenging it can be to get back on the right path. There’s tons of information out there on the Interwebs; some good and some less than good. You’ve got a lot to do, trying to get back on track and make sense of what got you injured in the first place. It’s not like you ran 10 miles at tempo last week because you were saving a bus load of children perched on a cliff. You weren’t earning a paycheck with that bigger week of training. No one pressured you to ignore the pain and warning signs from your body. It’s not like you are dumb. Or ignorant. Or doomed. You didn’t know the difference between discomfort and pain. Discomfort is the after affects of a tough training session. Pain is a signal your body is sending that all is not well. If the lobby of my physical therapist’s office is any indication, very few other runners know the difference either. Young runners. Old runners. New runners. Fast runners. We all face the same set of challenges and problems. Here’s the rub: We don’t get better about learning the difference between discomfort and pain. Find any injured runner and I’ll show you someone who has been injured before. And more than likely, with the same issue! You’ve bought an entry to a race. You’ve lined up your travel and lodging. You’ve committed to a plan. You ran 14 miles last weekend. This weekend’s 16-miler is critical because it get you to next weekend’s 18-miler. All of these factors affect your ability to decide whether or not you should stop running. Stopping running puts your race at risk. Your travel. Your next week. All that hard work goes away…and you can avoid all that by continuing to run. So you run. And you hurt. And you hurt more. Asking “Why didn’t you stop?” isn’t about the pain or your pain tolerance. It’s the fear you had about everything you committed to. But the truth is, you can’t run injured. Or at least not for long. And the longer you run injured, well, the worse that injury gets. So the Sunk Costs inherent in your running keep you going until you simply can’t run any longer. By now you are in a tough spot, with a long road of recovery ahead of you. See if the race has a transfer or deferral option. Many do, and smaller events may accommodate you. Reserve lodging that has a no-penalty cancellation policy, and enter that date into your calendar. Pay the extra $20 for travel insurance; or consider the extra money for a changeable ticket. Compare a few days off from running to the alternative of ignoring the pain and earning weeks or months off. Create a reward for being smarter about your body and taking a day off — maybe a new book? Or a movie as a treat? Remember it takes a full six weeks to lose fitness…and six weeks to rebuild it. One day off, or three or five, is NOT the end of your season. Alternate exercises such as cycling or swimming can keep your aerobic fitness up without stressing the run. Have something else to fill your normal running time. It could be a new hobby, picking up some extra work or extra time with the kids. The best way to handle all of this is to not get injured in the first place. Or rather, use your first injury as an opportunity to build the habits of a healthy and strong runner. Tune in next week for an interview with a leading authority in the distance running field. I am also working on a great deal on a course designed to make a faster, healthier runner! 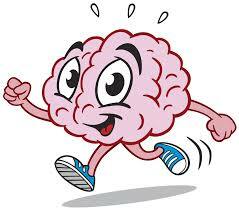 While we wait, feel free to share your mental strategies for making the right decisions for your running health!